Ques. I have a health insurance policy that also reimburses outpatient (OPD) charges and medicines. I want to know if it will also cover homeopathy or ayurveda treatment. If not, can a special rider be taken for these covers? Ans. 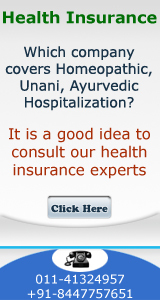 Star Health covers homeopathy in post operative treatment (after returning from hospital) HDFC Ergo covers 20% of Sum Insured provided you are treated in approved Ayurveda hospital. No you cannot take it as a special rider. Ques. My uncle, who is 40 years old, recently went through an open heart CABG operation. We had assumed that his public health insurance policy would cover the entire cost. We were informed at the last minute that only hospitalization cost would be covered with some conditions. Is there a plan that covers all the cost involved in such a complex procedure? Ans. Yes- large numbers of products are available which will cover the cost involved in such a complex procedure. Your uncle will not be covered for this disease/ ailment under the new policies as now CABG is a preexisting disease. It is always better to buy right health insurance when you are healthy. It is not possible to buy right health insurance when you have a disease/ ailment especially like CABG. Your uncle has to be prepared for spending a lot out of own pocket. Ques. I have a health cover of Rs 3 lakh from Star Health. I want a top-up policy Rs 5 lakh. Please suggest some good options? Ans. You have choice of United India Vs Star Vs Bajaj Allianz. This is subject to Star policy being in place for many years and that too without any claims. Ques. I have heard that deafness is genetic and many private health insurance companies don’t cover children for several critical illnesses. I would like to know if there is a health plan that can provide medical relief to my child to cover doctor’s check-up expenses etc. Also is there a critical illness plan which can cover deafness if ever my child was to face it? Ans. Children born with diseases are not covered. Policy is issued to a new born baby when he/she is 90 days old. No insurance company will cover you child. Critical illness plan does not cover deafness. Under personal accident policy – deafness of 1 ear or 2 ears (due to accident) can be covered and under this the insured gets one time lump sum payment. Ques. I plan to go abroad for eight months. My travel insurance policy has some mistakes in spellings and passport number, what should I do? Ans. You must get the name/ passport number corrected as it will be used for claim settlement. You can have serious problem due to this mistake. Generally overseas Travel policy is issued for maximum period of 6 months. You should check that it is for 8 months. Ques. My aunt (52) had taken a health policy, after getting all the required tests done. She had paid the premium regularly for the last two years. The payment falls due in mid March every year and this year, it just slipped her mind. The company also did not send any premium notice. In April, she remembered and sent the premium- while the branch manager has accepted the cheque for continuation of the old policy; the central office is adamant and wants to treat it as a new policy? Ans. The Insurance Company is right. You have to be careful in paying premium on time. It is suggested - you should use an insurance broker firm. So that this type of problem does not occur. Ques. I am 28, working in a private company with monthly salary of Rs 25000. 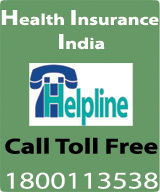 I am looking for a health policy with cashless hospitalization facility, which would cover my wife and my parents. In Oriental Health Family Floater all of you can be covered in one policy. In Max Bupa Heart Beat Family First all of you can be covered in one policy. Another option will be to get 2 separate policies issued. Sum assured you are looking for? Any preexisting disease any family member is having. Ques. I am 35 years (self employed) old having wife, 2 children, and have to support any parents (both diabetics age 64 &61 Years). I am considering buying a health insurance policy to cover the medical expenses of my family. I am considering buying a family floater health plan, which I believe covers the entire family for a low premium. Please advice? Ans. You can consider Oriental Happy Family Floater where all of you will be covered and that too at an attractive premium. Our suggestion is that you should go for higher amount for your parents with coverage for diabetic .As far as you are concerned you will have the opportunity to increase sum assured as the time passes.